Is there a particular room in your home that you are feeling a bit “eh” about? Why not give it a makeover! Before you start adding up the hours, weeks and months it will take to transform your space, read our top tips to makeover a room in one week. It’s definitely possible, and it will save you a lot of money and effort too! With only a week for the transformation, you don’t have time to completely overhaul the flooring, so instead, bring a new rug into the space. It could be a large rectangle in the middle of the room or something small to add texture, colour and interest. A soft rug will also add warmth to a tiled room and make a small space appear larger. Changing the walls will add a huge difference to a room. Whether it’s a bedroom, bathroom, laundry or living space, painting a room can take a long time when you consider what’s involved to prep, coat, seal and dry the wall/s, especially if you are doing it yourself. 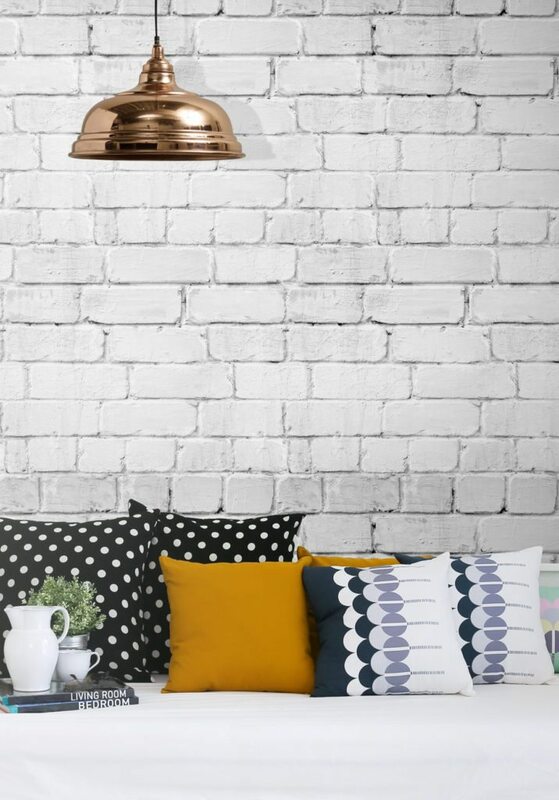 Instead, add colour and contrast with a wallpapered feature wall and have it all done in a day with minimal mess and frustration. 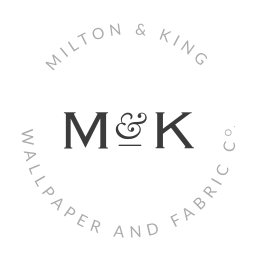 Milton and King offer a wide variety of wallpaper designs, from colourful florals and monochromatic geometrics to dots, stripes, faux brick and more, so your hardest decision is choosing the wallpaper, not installing it! Don’t believe us that it is that simple? Check out this video we made to help you install wallpaper for the first time. To “complete” the room and help you add the finishing touches, select a theme and carry it out throughout.  The theme could be monochromatic or a specific colour palette theme, or something fun inspired by a nautical, floral, industrial, vintage or luxe modern theme. 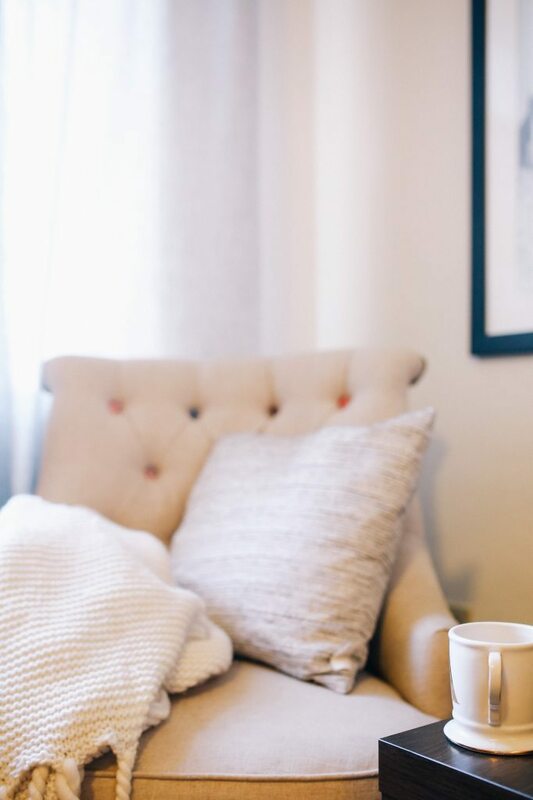 You’ve got the perfect excuse, and you’ve no doubt saved a lot of money by transforming your room in just one week, so go out and invest in a feature piece of furniture. It could be a great lounge chair if you’re reworking the living room, an intricately detailed bed head for the master bedroom or new bar stools with copper accents for the kitchen. Bringing a new piece of furniture into the room can give it a whole new feel and complements the theme and other decor pieces. The new piece of furniture should make a huge impact on the room, so choose wisely but ensure it is something you absolutely love. Sometimes rearranging the layout of the room can make a world of difference (and it doesn’t cost you a thing either!). Whether it is the first thing you do or the last, move your furniture around to contemplate different layouts before making your final decision. This will also help you see problem areas that you didn’t notice before (scratches on the walls, carpet stains etc) and give you an idea of what you are missing too. Makeover a room in one week with these simple but effective tips and transform your room from drab to fab without breaking the bank. You’ll have more time to spend on the areas you really want to renovate, and more budget to turn your space into your dream home. Have you done a room makeover in just one week? How did it go? We’d love to hear about your experience in the comments below.